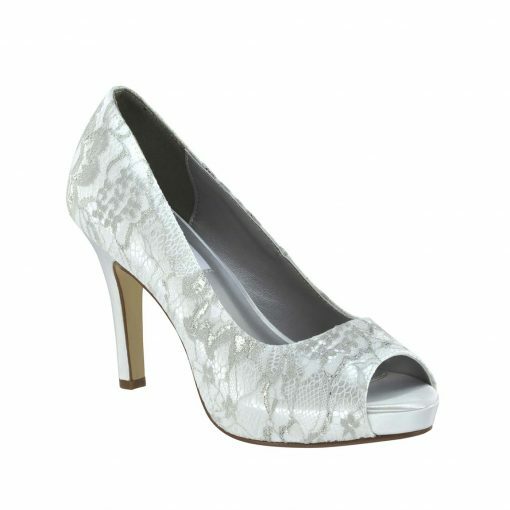 Dyeables Winter white satin lace is a high heel peep-toe, dyeable pump. 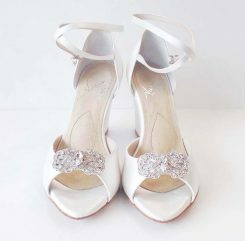 There is a decorative lace with silver accents covering the top of the shoe. 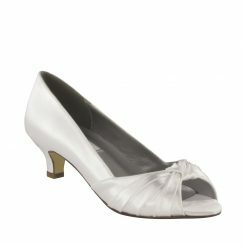 Winter is available in White Satin and sizes include 5 – 10, 11 medium. 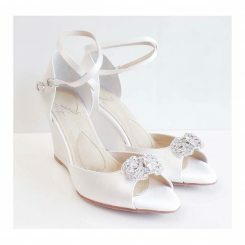 Dyeables Winter white satin lace has many beautiful qualities and different aspects to the shoe. 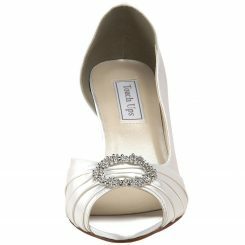 This high heel is accompanied with a generous platform bottom to help with the pressure from the high heel. There is a closed back and closed sides, which offer a lot of stability. Winter is made with two separate dyeable materials. 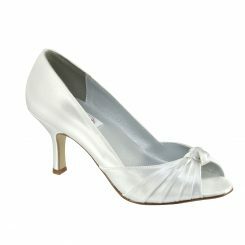 The first is a white satin which covers the whole shoe. Also there is a dyeable lace fabric on top of the white satin that has silver running through the lace, which stays silver, even after dyeing. 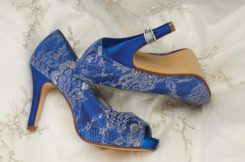 This will cause a base color of your choice underneath and the same color with silver aspects throughout. It looks amazing!